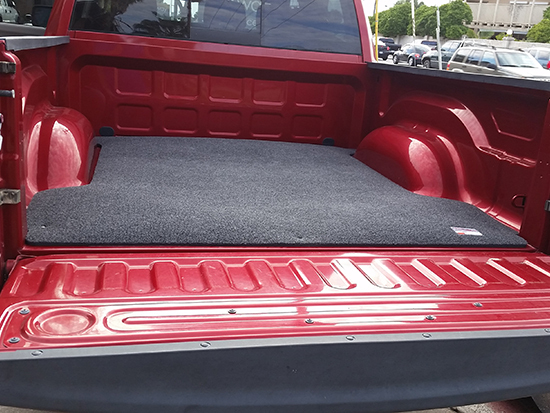 The ACCESS® TRUCK BED MAT has an average rating based on 13 customer reviews.
" Great bed mat. Easy to install. " " Great quality; easy on my knees; installation was quick, but I used shorter screws for the wheel well snaps; lots of room for all my stuff. " " I really like the way it looks in my truck. 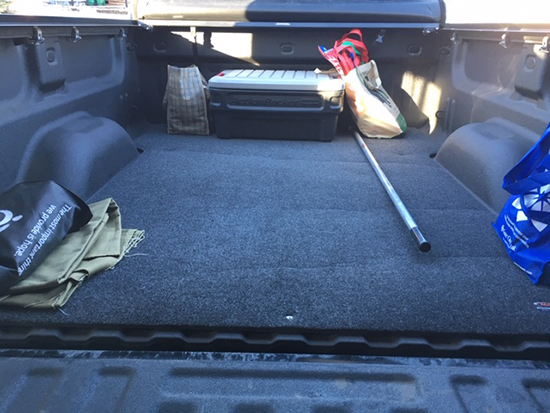 I only wish ACCESS offered a tailgate mat to match....otherwise it was an easy fit. " " The mat is wonderful. It is just what we were looking for. Very easy to install. " " Fit like a glove. ACI produces quality products. I have a few of them "
" We finally had a bit of nice weather here in Rochester that coincided with me having a free moment so I finally installed your bed mat. Overall, I think I'm going to like it. It was fairly easy to install, and looks like it will be easy to take in and out should I want to load something really dirty or nasty in there. It's also a LOT more comfortable than a plastic bed liner or the steel floor. I'd be pretty comfortable sleeping back there if I wanted to. The material seems to be a little thicker than the BedRug I had in my old Dakota, but this is just a mat and not a full bed liner. Although, that's probably an advantage in my case. That BedRug was a pain to remove when I wanted to carry a load of manure or something and trapped moisture behind it all the time. This bed mat should breathe a lot better and be easier to clean. However, there are a few things I wish were different. First, I wish it had been shipped rolled up in the opposite direction. Getting the mat to unroll and stay put in the bed was a challenge at first. It probably would have been easier if it was warm and sunny out, but as it was it kept trying to roll back up on me for the first 5 minutes. I also think it could use a few more snaps along the edges, especially around the wheel wells. It would also be nice if the fit around the wheel wells was a little tighter. Also, one of the screws that holds the snaps down broke on me as I was putting it in. " " My first thoughts about the mat is about the weight. I'm very impressed that something that is promised to be so durable, could be so light. After opening the package, I browsed the instructions, and they were very straightforward and concise. Applying the mat took no more than 15 minutes or so, was reasonably easy, and it seems like it is well attached and ready for some use. The main issue I had with the mat at first was that it had the memory of being rolled up, and thus was hard to keep in place while setting up the snaps. With some extra weight on the corners and some bending, it did seem to subside. Overall it was an easy task, and I had little trouble with it. I'm impressed by the way it looks in the back of the truck and am glad that it will protect the bed from most dings and scratches. I will be trying to use it for the next month and test its durability, ease of cleaning and more. " " Great bed mat. I've bought two.Install is easy and it looks and works perfectly. " " Great product, fast shipping, have dealt with Agri Cover before and always been happy. " 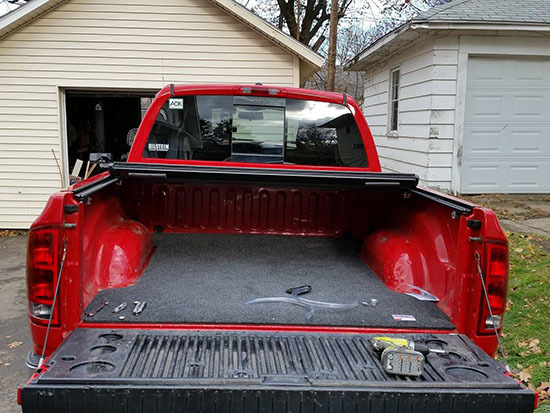 " Access Truck Bed Liner is a TERRIFIC product and "as advertised". Fit is perfect; however, I elected (at least for now) to not install the snaps. "